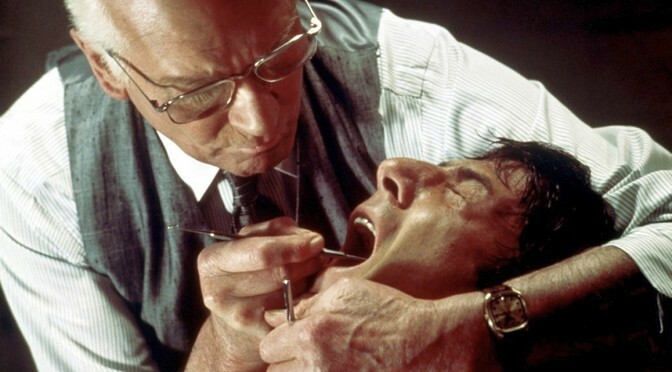 When sitting in a chair in my dentist’s office—I mean the chair that brings Dustin Hoffman in Marathon Man to mind—the ambient audio system is always playing a lite rock station. Most of the music is of a sufficient sweetness to engender even more cavities in one’s molars. But it is a temperate drone behind the whining of the drill that sounds like it is about to shatter that porcelain spit bowl to my immediate left. Over the years I have spent far too much time in such a chair. I am confident that I have helped put my dentist’s children through dental school. I have heard a lot of that music. Which brings me back to Marathon Man and the scary things that can happen with sharp implements, as it leads to a recent study conducted on surgeons by Spotify. Specifically, the research was on what music surgeons listen to while performing their work in operating rooms. The number-one genre among the surgeons for their OR time is rock. Over 700 responses came from surgeons who are registered with Spotify. And looking at the top 10 list makes me shutter and hope that I don’t need anyone slicing into me—not that I dispute, wholly, their taste in music, but just that it seems that the nature of the music that they prefer has beats that might make things go somewhat awry should the doctors become too deep into the sound. I’m guessing that numbers 3 and 9 might be ironic. But I’m disturbed by the “Break On Through” (“Ah, doctor, you might want to ease up on that scalpel lest you break through. . .”) and the preponderance of the color of dead tissue. I can hear Plant do the extended “Way down inside” and would like to think otherwise. I think I’m feeling better about my dentist’s choice in music. Previous PostNew Bombpops video: Be SweetNext PostNew Wilco song: All Lives, You Say?